Hey everyone, thought I'd try a new idea out for 2017 - hopefully it'll stick around as a new feature. Monday Musings is a feature where every Monday, I'll shoot the breeze about what I've been playing and what my thoughts are on various news and events in the game industry. It's a bit more informal than a lot of the stuff that goes up here, so hopefully it'll be different and at least entertaining to read. 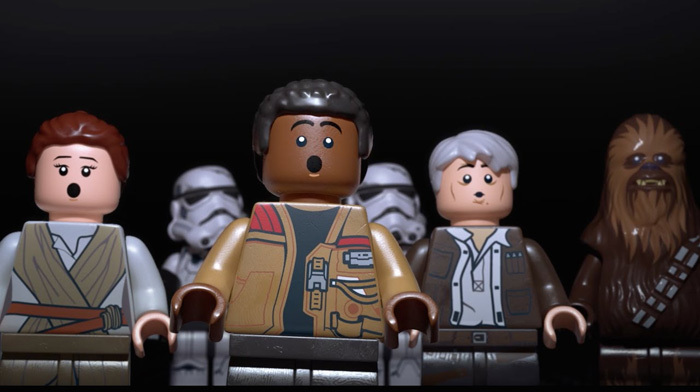 The Star Wars cast voiced original lines in a LEGO Star Wars: The Force Awakens? So I've been playing quite a bit of LEGO Star Wars: The Force Awakens recently (which is pretty darn good btw), and noticed, well, a disturbance in the force, you could say. That is to say - apparently, somehow, some way, TT Games managed to get the main cast in The Force Awakens movie to voice some extra lines for the game. I haven't played LEGO Jurassic World yet, so I'm not sure if that it also did this, but man, this is wildly unheard of for a Lego game. Why? It might be one thing for up-and-comers like Daisy Ridley and John Boyega to do this, but it's entirely surprising for someone like Harrison Ford (y'know, only one of the biggest stars of the last half century?) to do it. "Why would the cast record lines for a lowly video game when it would normally be beneath a lot of other actors (both in prestige and pay)?" TT Games generally has been using the movie voice track for their movie adaptations of games ever since LEGO Lord of the Rings, and they do in this one as well, but my first cue that extra lines were recorded by the main cast when I started hearing Han Solo say things like... "Darn, the door is locked. If only we could access the panel to get into it," or "Hey, maybe we should press this button over there." Which is SUPER jarring when you realize Harrison Ford is actually voicing these generic hints. To TT Games' credit, they did give Ford some actual witty Han Solo-isms to say, which you'll hear interspersed throughout some of the other banter when you're playing, which was a nice touch. So how did this all happen? Why would the cast record lines for a lowly video game when it would normally be beneath a lot of other actors (both in prestige and pay)? My guess is that when they signed on to star in The Force Awakens film, there was a clause in their contract that obligated them to also do voices for a tie-in game -- in this case, LEGO Star Wars: The Force Awakens. ...Or maybe they really did just do it just for the money. Who knows. Now that 2016 is finally over and the bulk of GP's Game of the Year event is over (we still need to put up our overall top 10 for the site), I'm actually excited to dive back in and start playing some of my backlog games again. Around last November, I had a weird hankering to finish up Lego Marvel Superheroes (so much talk about Lego games, I know), which I previously left off in the Spring of 2015. Needless to say, I beat it and was enthralled with it enough to want to 100% it, but I had to put aside once I realized I should be focusing on finishing games for that year for GOTY consideration. I still have Katamari Damacy to get back to as well which was pretty fun (and challenging), so hopefully that'll mark the beginning of me making a big dent in my digital PS2 game collection on PS3. But going back and playing these games really reminded me that it's good to intersperse backlog titles with newer ones because they kind of help give you some focus and make you realize that it's not all about keeping up with the Joneses and what they're playing. No doubt there's definitely something to playing a new game when everyone else is playing it (see: Splatoon, FFXV, Overwatch), but playing backlog games helps me realize that it's good to go at your own pace as well. Otherwise, sometimes I kind of get lost in the shuffle of just playing recently released games and -- even though I'm having fun a lot of the time while doing it -- I realize that I'm sort of forcing myself to play through stuff that I may not really want to play at that time just to justify the expense or to experience what everyone else is talking about, even if it doesn't click with me in the same way. It also shows me that I don't need to have every single game right when it releases. Given this, I'll try now more than ever to only buy the games I'm most excited about at release, and also try not to buy too many altogether at once as well. On the upside, however, I did notice that I ended up beating many of the games I bought in the latter half of 2016, especially those that I was playing in anticipation of writing up my game of the year list. This is in stark contrast to 2015 when I bought a bunch of games that I still haven't played or beaten to this day -- stuff like Tembo the Badass Elephant, Ori and the Blind Forest, Axiom Verge, Undertale (still need to beat), and others. Hoping to continue that upward swing this year! So, to put things in context beforehand: I actually had a really hard time putting together my game of the year list this year, so much so that I actually wrote up most of it the night before it was published. It wasn't that I had a hard time thinking of games that I wanted on the list -- no, it was actually the opposite. Needless to say, I didn't truly get to let the whole experience of Firewatch set in on me after the credits rolled, and I found myself going with my gut reaction to keep Fire Emblem Awakening since I spent way more time with it. The next day, I found myself thinking about Firewatch all day long and wondering if I made the right choice. 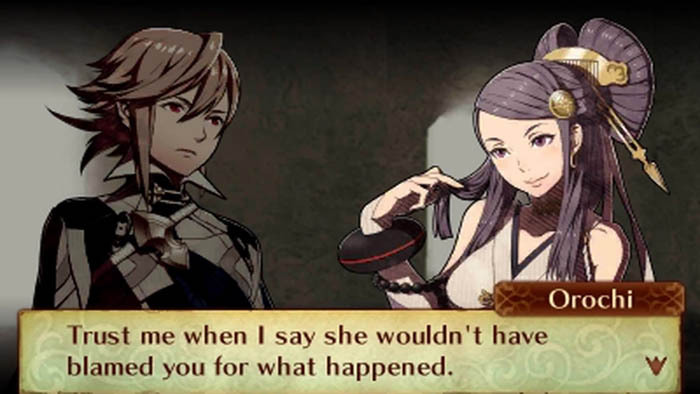 But after spending the weekend and yesterday really digging into Fire Emblem Fates: Birthright, it reconfirmed my faith in that game is well-placed. What really makes the experience for me is a rich blend of deep strategy combined with the relationships that build between different characters via support conversations (a mechanic where characters can build a relationship based on the amount of time they spend next to each other in battle). Eventually, male and female characters that reach a high enough level with each other will marry, producing a child that -- through really lazy writing -- has been raised to adolescence via an alternate realm (where time passes much faster) and will join you in your quest (after beating their paralogue chapter). If the reasoning behind that sounded dumb, it absolutely is, but the gameplay ramifications behind it are amazing because it essentially allows you to breed new units with the unique special abilities that parents have, similar in a sense to Pokemon breeding (sounds weird when I put it that way). Anyhow, I've been spending much of my time pairing up the characters to get their child characters, but also leveling up lower level characters on skirmish maps and doing the main story chapters in between as well. Some of the later chapters are challenging in a really refreshing way; like, you'll have to deeply think about where you're positioning your units before they strike whereas earlier maps you might have been mostly bulldozing through it without as much thought. You also have to make more use of pairing units together (and thus making use of stat bonuses), not only to take down tougher foes, but also to defend from them as well. Those two aspects of the game are what really makes it for me, and the main story is just the sprinkling on the top, really. I've heard complaints about the plot from others, and -- maybe it's just that I haven't gotten to the end where something happens but I think it's fine so far (I think I'm on Chapter 23?). In the meantime, if this is your first Fire Emblem experience, I'd probably recommend Awakening first, but you really can't go wrong with any version of Fire Emblem Fates. 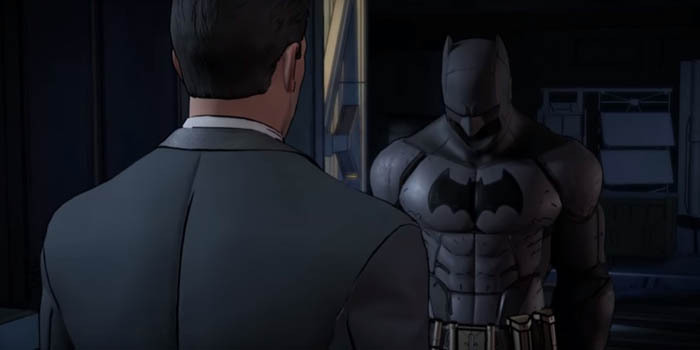 I recently finished the Batman Telltale Series (yes, that was another game I didn't actually finish before I had to put up my GOTY list), and holy cow, that's a good game. They do some really unique things with the story, especially with Bruce Wayne's side of the story that keep things on the edge from beginning to end. Being Batman is great, but I'm thoroughly convinced that for a Batman story to be truly good, you need almost equal amounts of Bruce and Batman to really flesh things out. I'll save my full thoughts for a review, but I will say that you should definitely play, especially if you've been holding off of recent Telltale games. Hopefully Season 2 is a foregone conclusion at this point; we'll see! That wraps up this edition of Monday Musings! I don't know if they'll always be this long, but definitely let me know what you think below; I appreciate any and all feedback and will try to tailor future ones accordingly.